The Day of STEM is gaining significant traction in Western Australia through the efforts of the John Curtin School of the Arts (click here) in Fremantle. In particular, the school has found success in running the STEM Cup program with mathematics students. The Collingwood STEM Cup (click here) program was run with the Year 9 mathematics students in Term 4 2016 with 8 teachers and 165 students participating across the school. 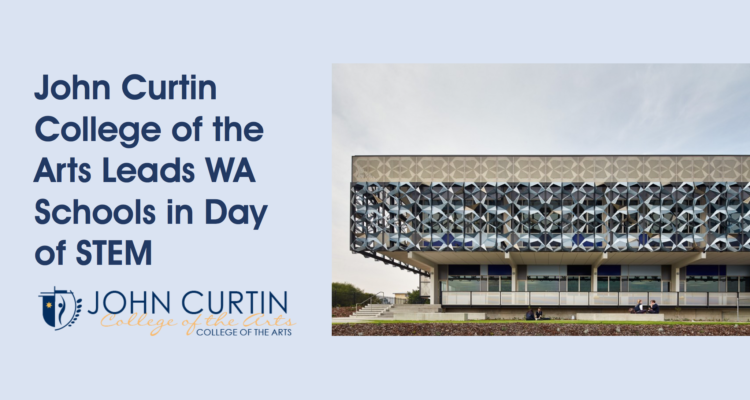 John Curtin School of the Arts had the highest number of students complete the Day of STEM thus far in Western Australia. In addition to having a high participation rate for Day of STEM, John Curtin received the Governor’s School STEM Award for Leadership Excellence in a Secondary School for 2016. In order to recognise school achievement and best practices on the platform, the Day of STEM team will be highlighting success stories from across Australia in 2017 and beyond. Please contact Renee Hoareau (renee@lifejourney.us) if you have an interesting perspective or story to share with our team. Stay tuned for more details on the 2nd annual Collingwood STEM Cup competition where students and fans from across Australia compete in a maths and stats challenge to choose player salaries for Collingwood’s 2018 team and win exciting prizes.